DGS seems to hardly ever smile. I was glad to get some of these. He was making a birthday cake in the bottom left picture. 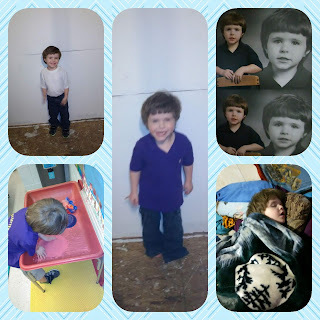 I think in the bottom right he had come home from school all worn out. He has autism and school is difficult for him.